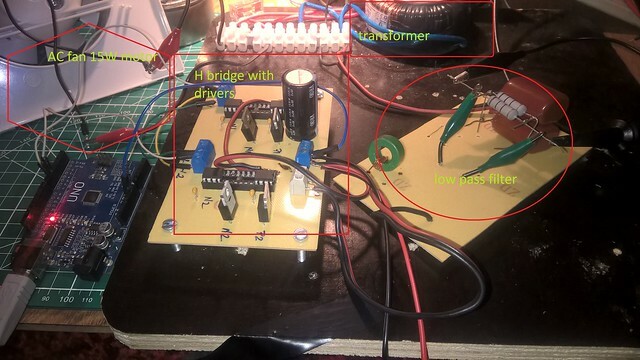 If in the previous posts i have designed a method to generate a control signal for obtaining a pure sine wave and an H bridge in order to use this signal in different aplications such a pure sine inverter; in this post i’ve designed a low pass filter for this inverter which is mounted on the output of the bridge at 12 volts. I must admit that, it was a little difficult to create this filter and i still don’t know if my design is good. 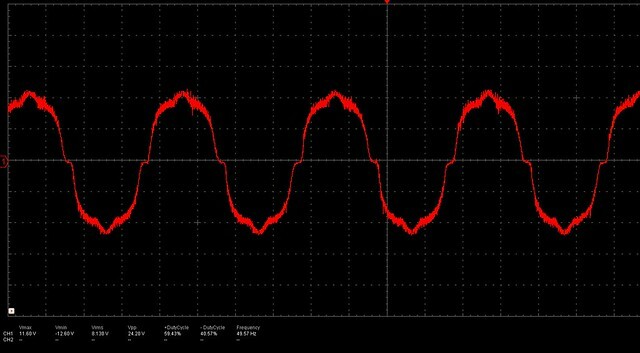 I used this filter in different tests and applications and for me it is good enough, as you can see on the images taken from my oscilloscope (in the end of this post). 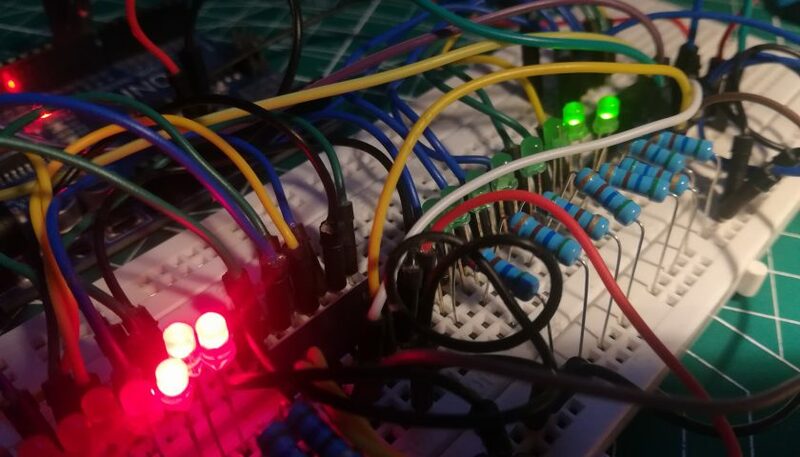 I will start with a little theory about the transfer functions and after that I will implement the design and finally, some tests. 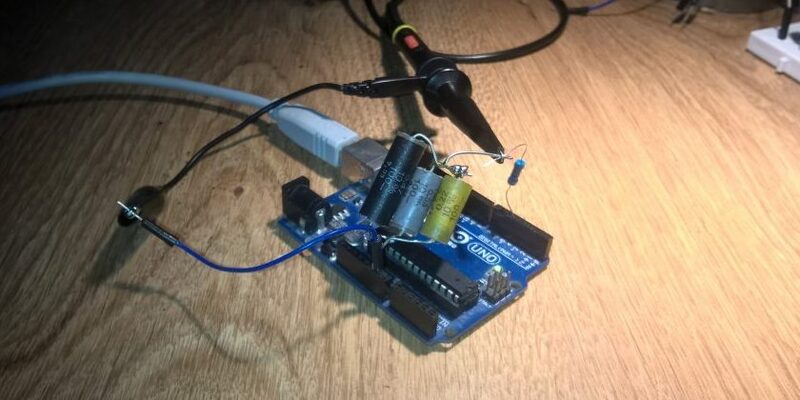 Most low pass filter described on the internet are RC-low pass filter, but putting a resistor in the current way is not such a good thing. 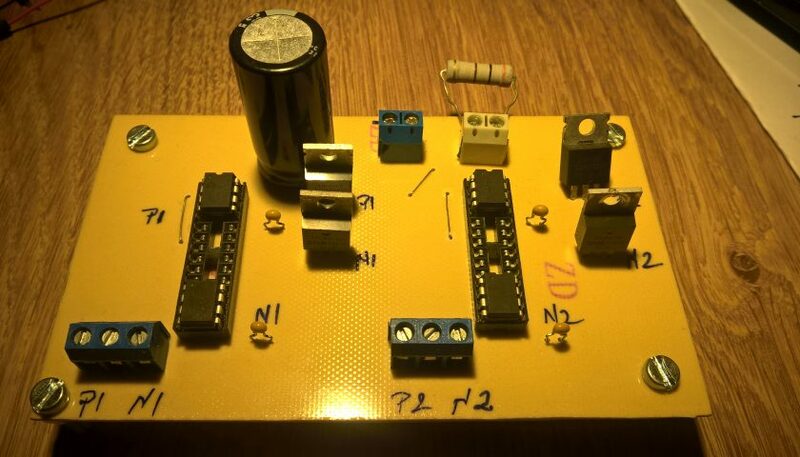 So, i have made a low pass filter from three pieces R,L and C.
The first component is the inductor and after that the capacitor in parallel with the resistor. The current will flow much easier on the inductor at low frequencies, but at higher frequencies it wil act like an high impedance, because as we know XL=L x Omega, where omega is the frequency in radians. 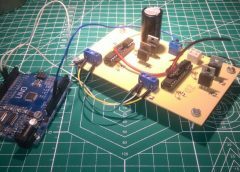 The capacitor acts in the opposite way: at low frequency it behaves like an intrerupted circuit and at higher frequencies like a shortcircuit. 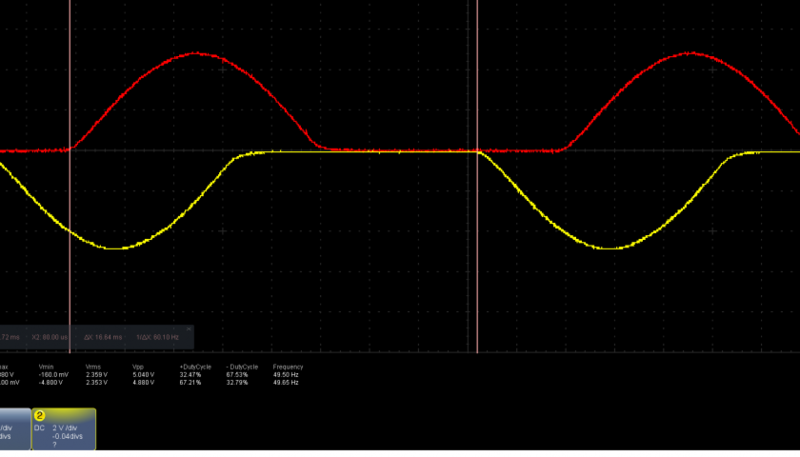 The resistor is for damping, because the internal resistance of L is negligible and some unwanted regims can appear . 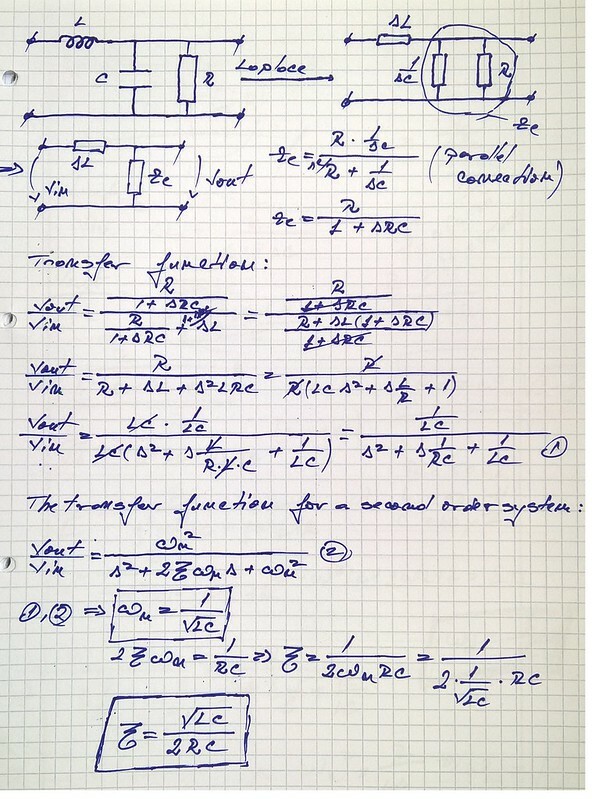 The transfer function is nedeed for calculating the cuttoff frequency , the damping factor and the response of the filter. 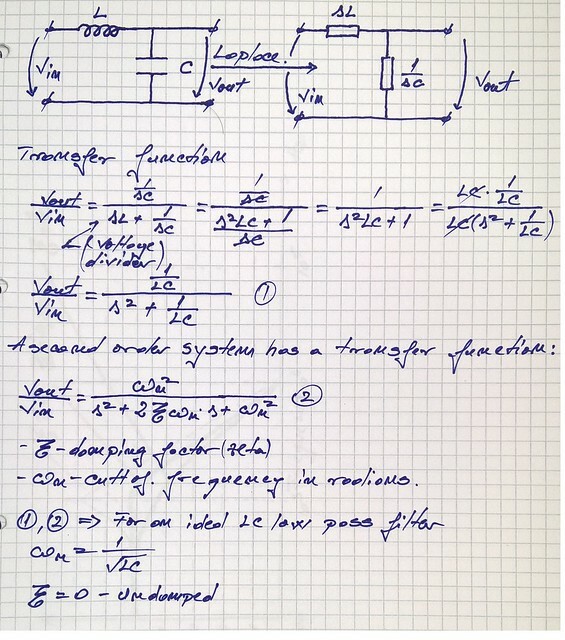 The transfer function presented below is only for L C components in order to compare and justify the present of the resistor in circuit. zeta=1, the system is critically dumped and no peaking. 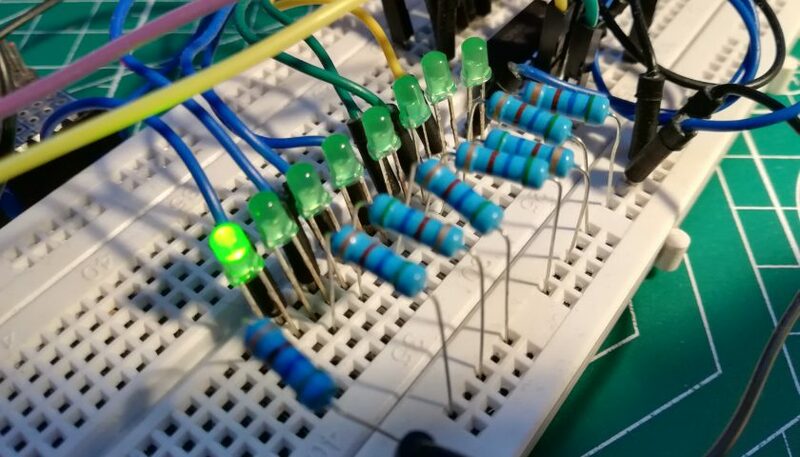 So, in order to make zeta ≠zero, i have introduced a resistor in parallel with the capacitor. 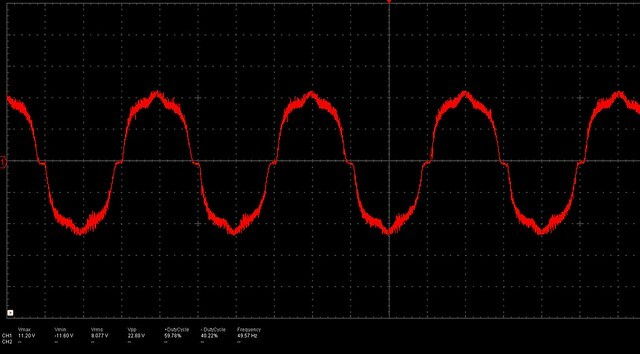 Ok, as you can see in this circuit, zeta (the damping factor) is different from zero, so we can controll it. 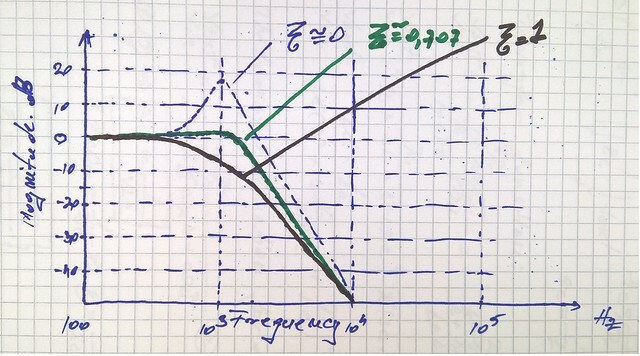 In practice, for low pass filter you can choose a cutoff frequency between 10 times bigger than the fundamental frequency (in our case 50 Hz for inverter) and 10 times smaller than the pwm frequency (in our case aprox. 3100Hz). 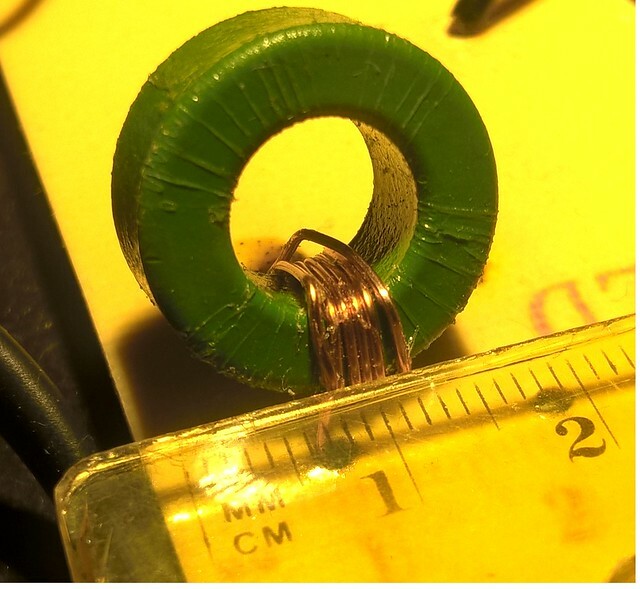 I’ve tried to select a cuttof frequency around 2 kHz, so i choosed a 20 uF ceramic capacitor, a 200 uH inductor (another values i don’t have :)) ) and a 50 ohms resistor. With these values, the cuttof frequency (in Hz) is f=2055.724 and the damping factor zeta=0.0224. 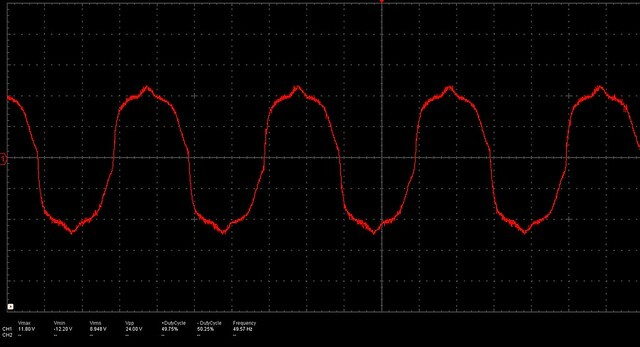 As i said, the damping factor zeta is very low comparative with 0.707. 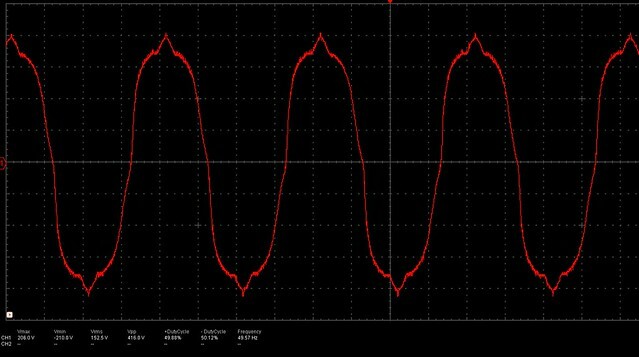 To improve this factor i could reduce the value of R but a small value across voltage means power loss or a bigger inductor. 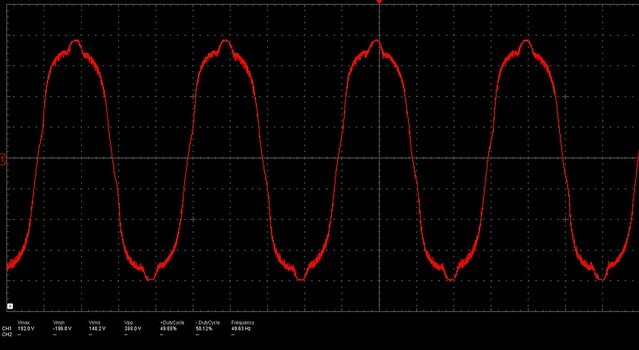 The problem with bigger inductor is that, the smallest duty cycles pwm pulses(at extreme of half duty cycle) dissapears so, between the half duty cycle of the sine wave is a period at zero volts which is unacceptable. 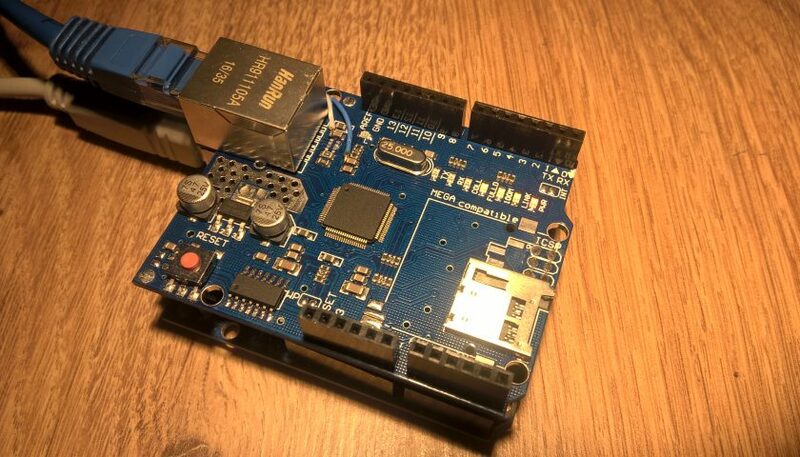 Ok, but you may say if zeta is very small why do you put the resistor…? 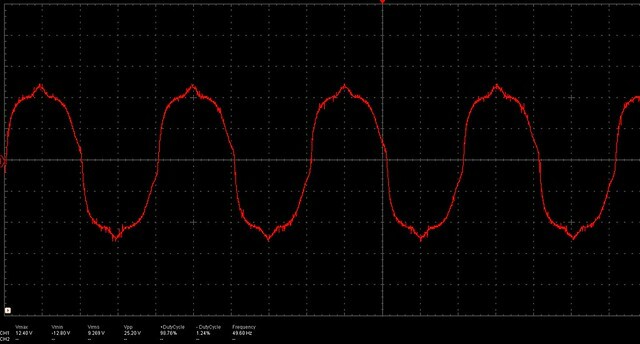 Well, if you look at the pictures below is a big difference between the circuits without and with the resistor on a frequency response chart obtain from the transfer function. 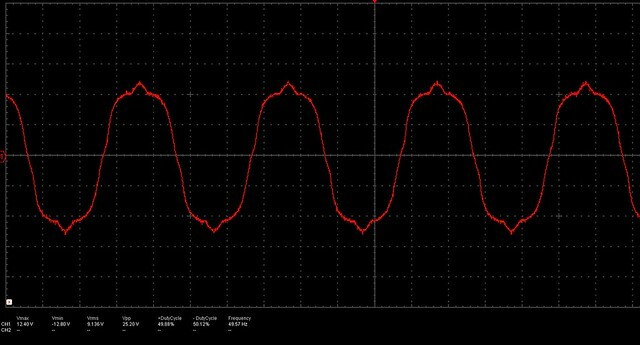 As you can see without the resistor the gain is around 50dB and with resistor around 25dB, so, even is not a great dumping reducing the gain at half is a good thing. 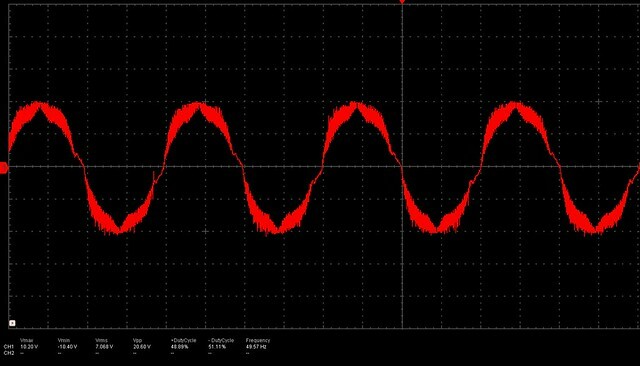 Before to start the tests with the filter from R,L,C defined above, i must say that, in the image below is the oscilloscope reuslts from same filter but with a higher inductance L=15mH, and you can see how the pwm pulses with small duty cycle dissapear. 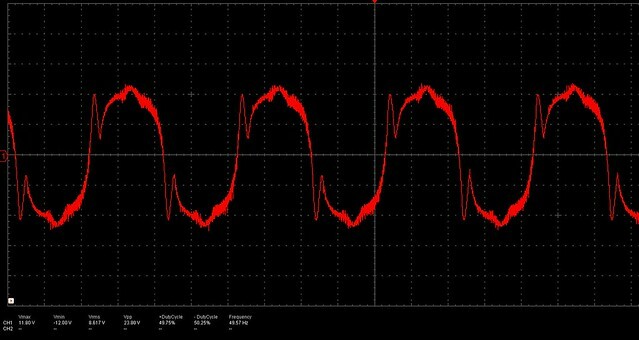 This is the reason why i haven’t succed to improve the damping factor with inductance. 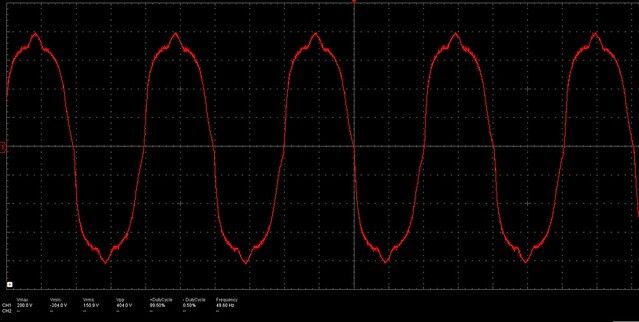 Next the tests with the filter will be performed with some consumers direct on the 12 voltage output and another tests with two tipes of transformers an iron core transformer and a ferite core transformer to observe the differences between this two. 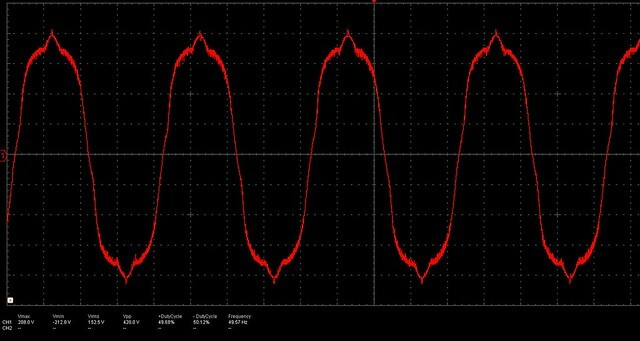 in this case the sine wave is with low noise compared to other loads, and it is like the case with filter with no load. i must say that, the phone is charging with no problem. Also neither in this case are differences. 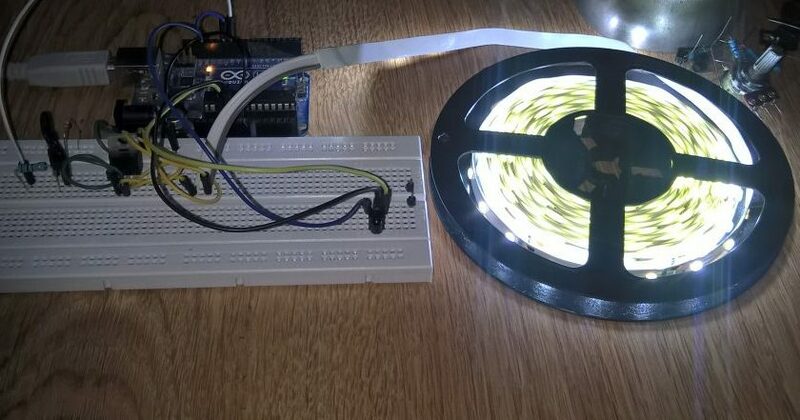 Final tests are with two AC motors 15W and 50W both fans. 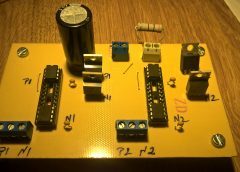 The one with the smaller power it is with a shortcircuit spire in the stator and the other one is with capacitor. 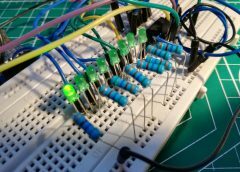 How stable is the output voltage when load changes ? 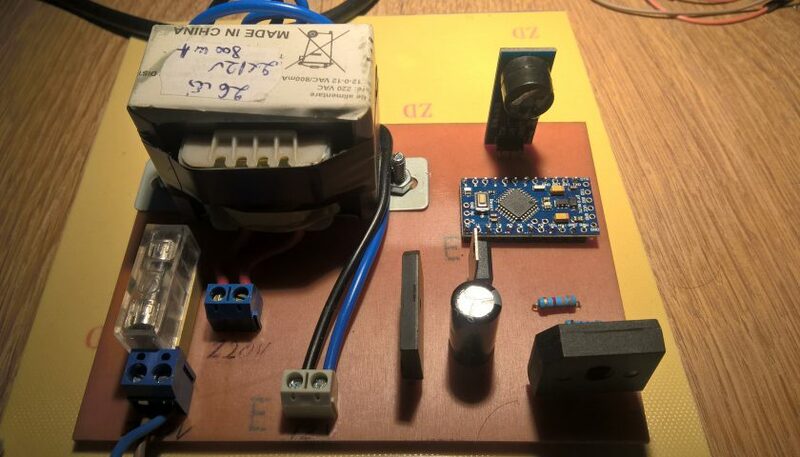 I don’t know if you saw the videos, but in the one with 50W ac motor is a fan with 3 speeds and when i change the speed(the click in the video) only changes appear at zero crossing between half duty cycles, the amplitude in this case is not the desired one because i’ve used a dc power supply only with 3 amps which is 36W (i don’t have other). 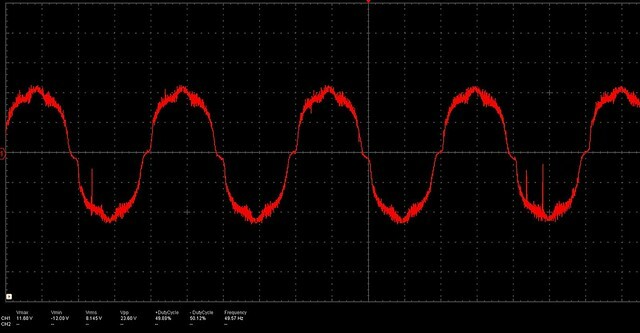 I try also with the fan at 15W to brake it with my hand and on the oscilloscope nothing different appear than normal functioning.